Our systematic review showed significant benefits of the laparoscopic technique: Less blood loss, shorter hospital stay, shorter ileus, less morbidity, and less wound infections. However, perioperative treatment of both groups was traditional in almost all RCTs under investigation. Modern multimodal concepts of perioperative treatment may improve the postoperative course regardless of the type of access to the abdominal cavity used. 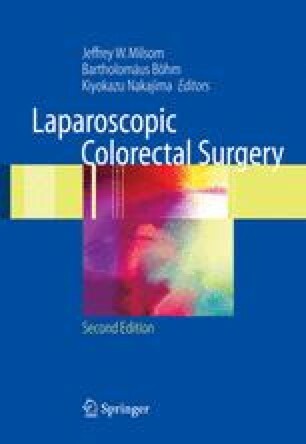 Long-term outcomes (e.g., survival, recurrence, and complications such as adhesive obstructions and hernias) after curative laparoscopic or conventional resection of colorectal cancer cannot be assessed with adequate accuracy because results from larger multicenter trials are not yet available. Within the next 3 to 5 years, several multicenter randomized controlled studies from the United Kingdom (CLASSICC trial), Europe (COLOR and LAPKON II trials), and Japan (JCOG trial) will deliver data on long-term outcomes of more than 2000 additional patients.